What opportunities are there for retailers to elevate the shopping experience and grow revenue? 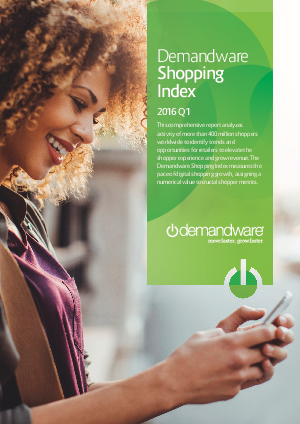 The Demandware Shopping Index takes a look at more than 400 million shoppers across the globe to identify trends and consider vital shopper metrics including frequency, conversion, average order values and much more. Download your free version of the Shopping Index today!